Kivistone is a collection of beautiful products carved from Finnish soapstone. Each of these items are uniquely designed for house interiors, household use and for personal or corporate gifts. 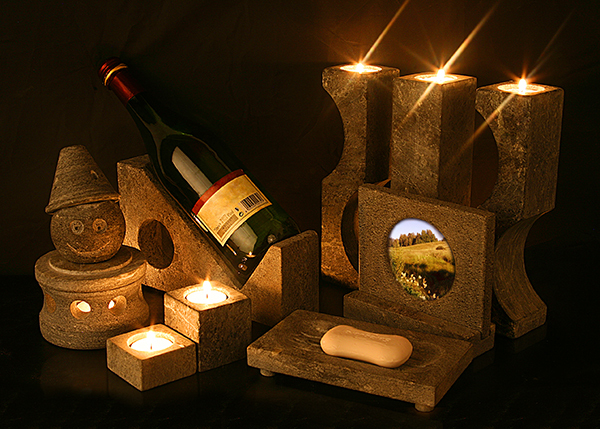 You will find a vast selection of an interesting concept and designs made of soapstone. Soapstone is a soft metamorphic rock, which is high in talc content. For centuries, it has been a commonly used material by artisans for sculptures, cooking slabs and bowls. It is widely used for inlaid designs, artistic pieces and as a heating appliance material. Soapstone significantly stores hot or cold temperature which makes it feasible for drink coolers, sizzling plates and pizza stones. Finland is one of the biggest suppliers of soapstone in the world. Soapstone is used as prime material in most heating masonry for fireplaces. The use of soapstone keeps evolving. 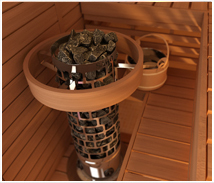 Evidently, most sauna heater manufacturing companies in Finland, like SAWO, designed electric sauna heaters with soapstone. Scratched soapstone is easy to revert to its vigor. By buffing the soapstone with very fine surfaced sandpaper, it will look brand new again. You may also wipe soapstone with mineral oil to make it look dark and chic.